August 5 – August 13, 2017 in Mapusa, Goa – The festival is more than just a sports event. 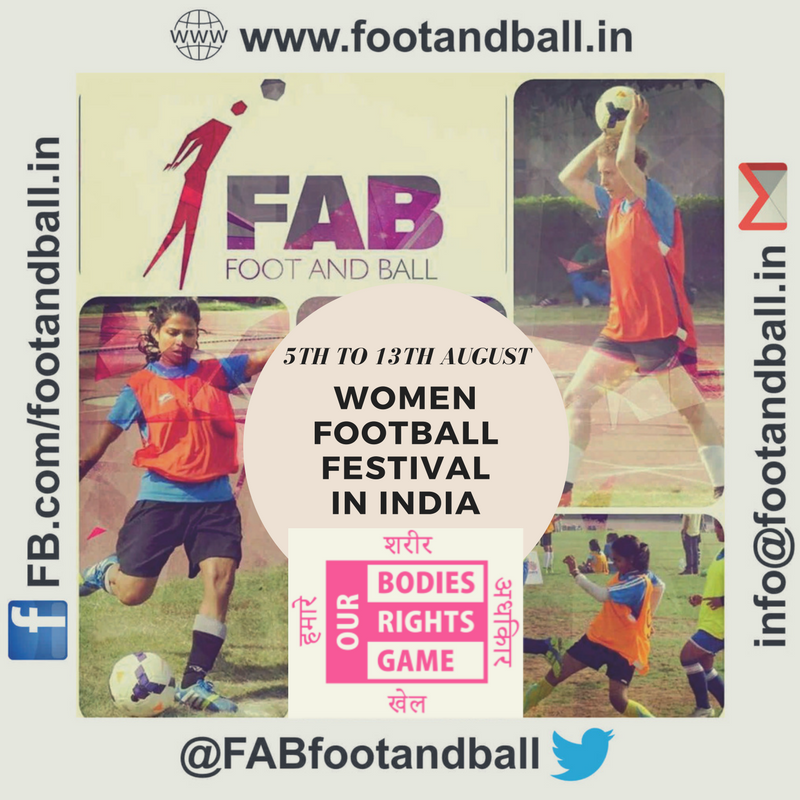 Comprising a friendly tournament as well as topic-related workshops and skills-building trainings, the event focuses on football as a tool for addressing discrimination against women and girls and fight for empowerment and gender equality. We use football to strengthen mutual solidarity to fight for women’s rights/ sexual and reproductive rights and for a more inclusive football. We want to make football a home for EVERY girl and woman!